Plus Free Prom Tickets! Minimum order 50 hoodies and 50 yearbooks (32pp softbound). 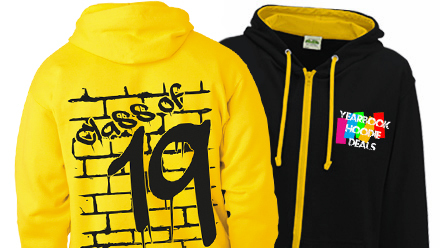 Yearbooks from £5 and Leavers Hoodies from £17.25 plus Free Prom Tickets with every order! Choice of over 500 awesome Yearbook Templates, fast UK Yearbook Cloud Service, complete support throughout and Free yearbooks with orders of 50+ books. Over 500 professionally designed and easy to use page layouts for the software you already know and use. 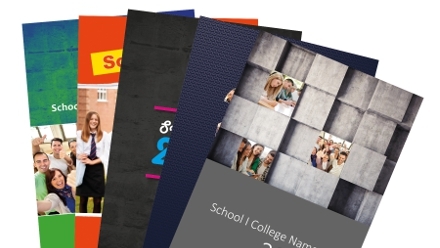 Create a 24-Page school yearbook of memories for just £9 (saving £4 per book). NB orders of 25 or more books only, using supplied print ready templates. We've developed a great system to make your yearbook project so much easier with less hassle and more smiles! Yearbooks and leavers books should be cherished for a lifetime, so don't pull your hair out before you've even begun. 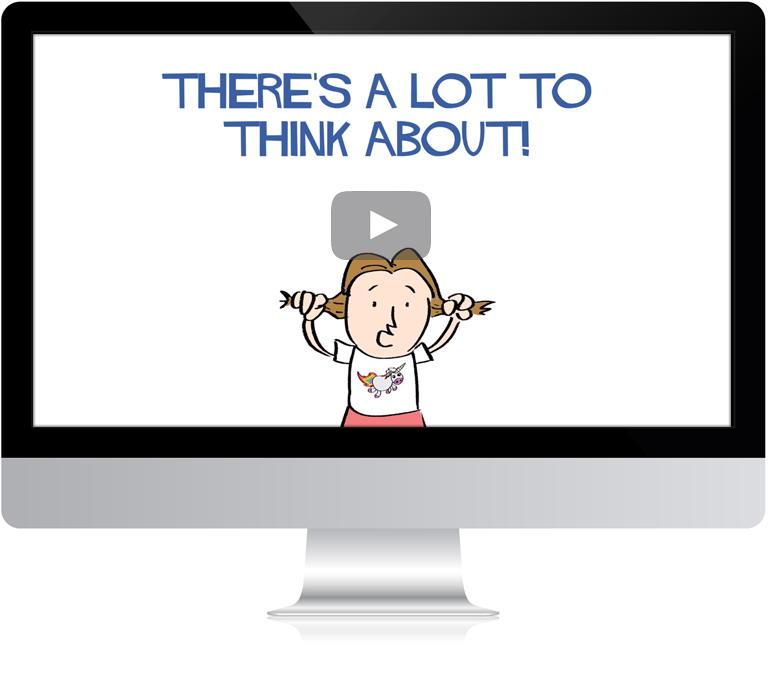 Watch the video, order a free info pack and drop the stress, today! Design from scratch or use any of our 500+ fully customisable School Yearbook Templates ready for use in MS Publisher, MS Powerpoint and Adobe InDesign. A secure account and free storage within our UK Yearbook Cloud Service with access to our full range of yearbook templates and design resources. Choose your favourite design, send us your photos and content and we'll put your yearbook together for you. We'll even send digital proofs to make sure it's perfect. Do you just need printing and binding or yearbook finishing? No problem, Hardy's Yearbooks will print and bind or finish and deliver your yearbooks to you. "We know what we're doing when it comes to creating great Yearbooks." We believe in helping you create your school yearbook the way you want. 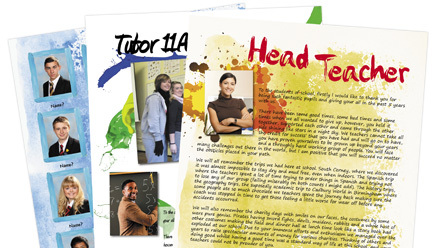 We supply professionally prepared yearbook templates for MS Publisher, MS Powerpoint and Adobe InDesign via a free and secure unique account within our UK Yearbook Cloud Service. Combined with our unbeatable yearbook design and yearbook support services, you really can't go wrong with Hardy's Yearbooks to produce your 2019 school leavers' yearbook. We've worked with hundreds of schools to produce many thousands of Yearbooks over the years, so we know what we're doing when it comes to creating great yearbooks! 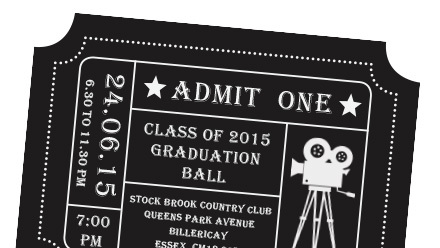 With our extensive experience producing both softbound and hardbound yearbooks for Year 6 primary school leavers, Year 8 middle school leavers, Year 11 and Year 13 school leavers, plus leavers hoodies, prom tickets and prom magazines we provide a complete service. If you're interested and would like further information or would just like a quote, contact us now. We guarantee a competitive price together with the knowledge and experience you can rely upon to help you successfully complete your 2019 School Leavers' Yearbook.